It’s a blessed morning fellas! Aishwarya Rai Bachchan has decided to grace our morning and it’s even more special cause it’s her birthday. That’s right, the mom-of-one actress has turned 45 today, despite her looking otherwise. In fact, we are convinced – she has bribed the Gods of ageing! Either that or she knows the art of ageing like fine French wine. Either way, it’s a privilege to see one of the most beautiful women in the world, in her prime. 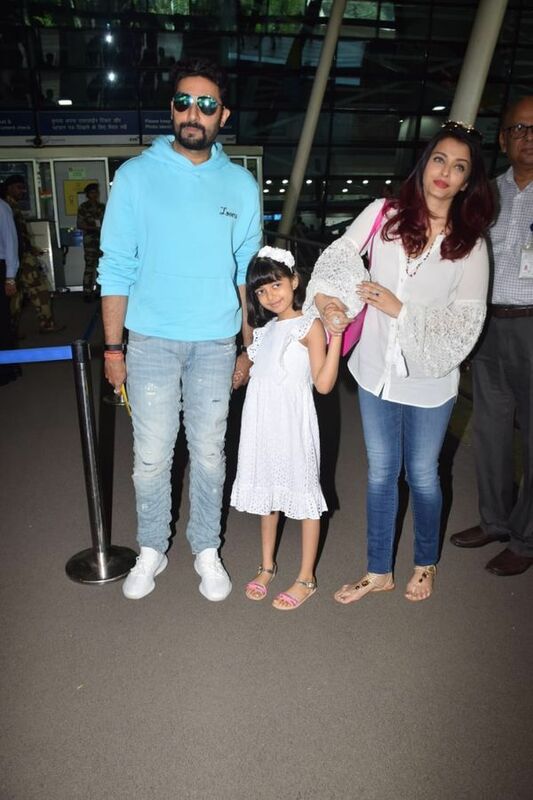 Coming back to the point, the birthday girl was spotted at the airport earlier today and it was a pleasant surprise with hubby Abhishek Bachchan and darling daughter Aaradhya. 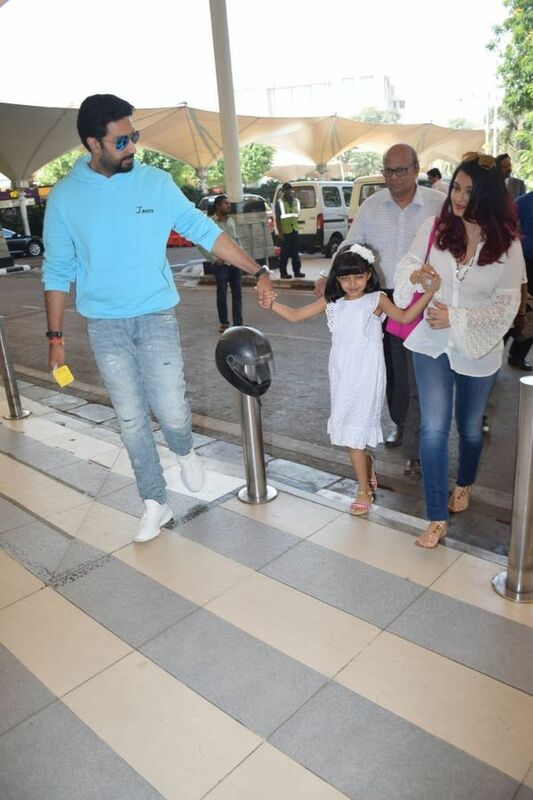 While they looked like the picture-perfect family that they are, we can’t help but wonder if Abhi is flying off Aish for a surprise birthday weekend. Or better. 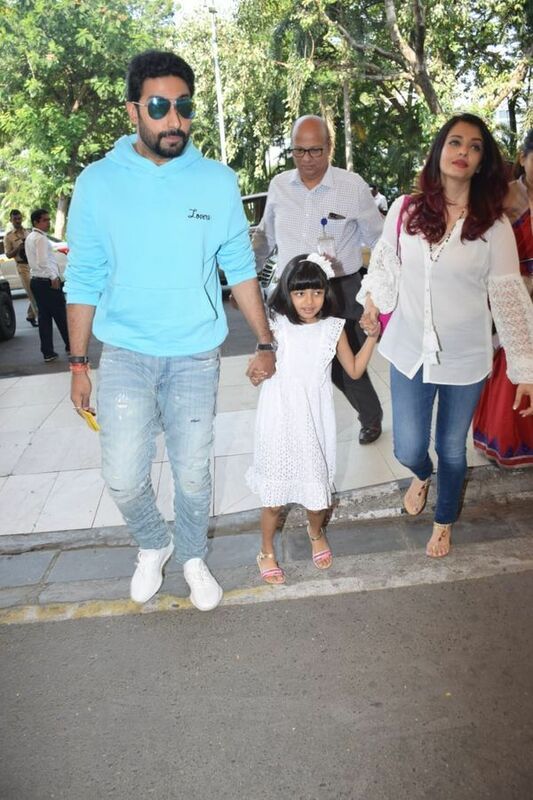 Aishwarya looked fresh as a daisy and twinned with her tiny tot and Abhishek was seen spotting a cool blue hoodie and denims. See their pictures clicked by the paparazzi here. On the work-front, she will be seen next in Gulab Jamun and the best part is that the film will bring together and reunite Aishwarya and Abhishek as a couple on the silver screen after 8 long years and needless to say, it’s going to be a long wait! Want to wish the diva a happy birthday?